I read this article and found it very interesting, thought it might be something for you. The article is called 5 Things about Cochinha: Brazillian Foods and is located at http://trip-n-travel.com/listicle/19613/. Cochinha is also known as the most popular snack in Brazil. This pear shaped snack is made from dough and sometimes mixed with mashed potatoes, then filled with shredded chicken, onions, cheese and other ingredients depending on the recipe. Once cooked, you’ll enjoy something that is crispy on the outside and bursting with flavors on every single bite. 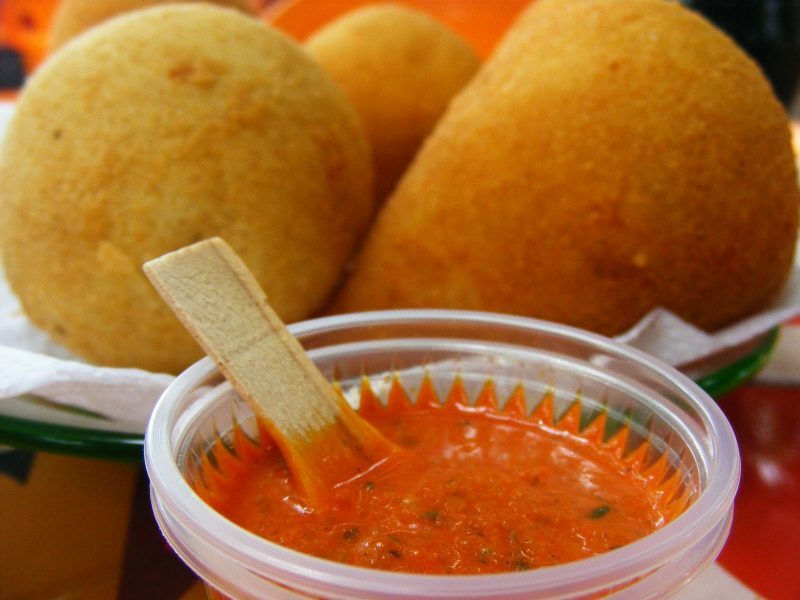 Without a doubt, Cochinha is the most famous snack in Brazil. Every household has their own variation of this crispy delicacy and it is often served in cafe’s, bars, food stalls and restaurants in the country. Its most distinct feature is its shape (which is commonly pear shaped) that comes in different sizes. 2. Great Snack for Vegans as Well! While the main ingredient of Cochinha is chicken, many variations are developed over the years to accommodate vegans as well. Some of the recipes include using shredded mushrooms instead of chicken as fillings accompanied by cheese, onions, and other spices. 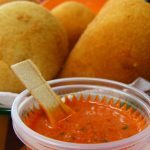 Because of that, the popularity of the Brazilian snack became widespread not only in Brazil but in some countries around the world as well. Believe it or not, it is very common in Brazil to serve Cochinha during birthday parties. You can even say that since it’s part of their culture, serving it during special events is the same as serving fried chicken! While it is true that the preparation in making Cochinha takes time, the result is a finger licking dish that is bound to make anyone say delicious! The selling point of Cochinha is its fillings. Though chicken is the most popular ingredient in making this snack, there are also fillings made from pork and beef. You can even say that since Cochinha is a flexible dish, any type of ingredient goes well with it. The shredded pork recipe with potato batter is one of those variations and it doesn’t lose when it comes to taste! One of the most famous dessert in Brazil is called the Brigadeiro. Unlike the Cochinha that is fried to perfection, the Brigadeiro is a combination of cocoa, milk, and butter that is mixed and heated in a nonstick pan. Once the mixture has cooled down, it is then molded into pear shaped sizes then sprinkled with almonds, coconut, and pistachios.